Our intrepid Spacetronauts vanished when their Dimen-Warp™ engines engaged early, shifting our protagonists through dimensional barriers far beyond mission parameters. Without word or trace for over a month, the mighty Space Chimp are believed lost in time and space. However, our heroes have survived, and even now are struggling homeward through a trans-dimensional reality, connected only by the universal spirit of music. They must fight Evil, and awaken Good, to fulfill an ancient alien prophecy – helped and hindered by forces they cannot quite comprehend. 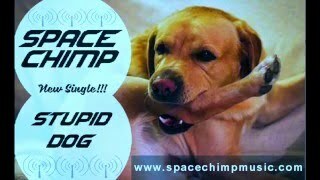 Space Chimp is about singing and dancing in all their forms. As our heroes venture forth in a strange new reality, they not only bring a wide range of originals and covers to fill three sets, but are also willing to learn and add to their repertoire for mission success. The standard 4-piece arrangement sees lively variations as the band's weapons can include a mandolin, tin whistle, or banjo, used expertly through an astonishing range of genres. The Space Bass also takes a lead role in many songs, adding a warm, funky sound that is as entertaining as it is unique. Add to this, nuanced vocal stylings, and ridiculously accurate percussion, and any audience lights up. Space Chimp loves to tour and can enliven any venue – bar, backyard, festival, or feast. Members all have mission experience with previous patrols in legendary units like The Dreadnoughts, Venice Queen, and Fuzzcat. With such intense live experience, and purity of heart, there is no doubt the mighty Space Chimp will fulfill the ancient alien prophecy of Good Times, as they make their way home -- sharing the lessons of their trans-dimensional, musical wanderings.